The European Commission love a good inquiry. Oracle, Apple and Microsoft have all been hit, and now they’ve now turned their legal turrets toward Google. Although Google have faced antitrust accusations in the US and Europe before, this is the first official inquiry into the company’s search and advertising services. The first aspect of the inquiry has been sparked by complaints from Foundem, a UK price comparison service, and ejustice.fr, a French legal search engine. Both accuse Google of relegating their websites to an unfairly low place in search engine results. 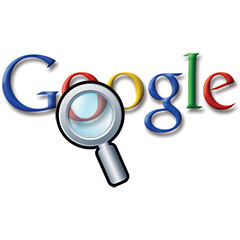 Google has denied that it deliberately penalizes sites which are a competitive threat to its own services. Independent SEO analysts have also pointed out that Foundem has little original content because it scrapes product information from other websites. Google can certainly modify the indexing of individual sites — for example, domains can be blocked if they’re found to be spoofing content or engaging in black-hat SEO practices. However, would Google seriously consider these two sites to be a threat? If Google engaged in mass rank manipulation, it would involve a colossal amount of human effort and search results could become meaningless. This aspect of the inquiry should be thrown out unless it can be categorically proven that Google are abusing their search dominance and hurting competitors. The floodgates will open if Foundem and ejustice.fr win owing to some legal technicality — every business will be able to claim their “rightful” search result position. The second part of the inquiry centers on Google AdWords and has been raised by Ciao. AdWords is possibly the largest advertising network on the net. Costs are set by auction; if you agree to pay 50c per advert click, you will normally appear above someone who’s paying 30c for the same search terms. However, Google set minimum bid levels and popular keywords can be seriously expensive — $10 or more. This aspect of the inquiry could hit Google: they have the market dominance to artificially raise minimum bid prices. After all, a fair auction process should let you bid any amount — even if it means your advert is shown at 3am Sunday morning on page 57 of the search results. Google has remarked that Ciao was acquired by Microsoft, is part of Bing, and can hardly be impartial. I’m no lawyer, but I think Google will need a better defense argument. What do you think? Is Google being unfairly targeted? Or have they become too monolithic and rescinded on their promise to do no evil?